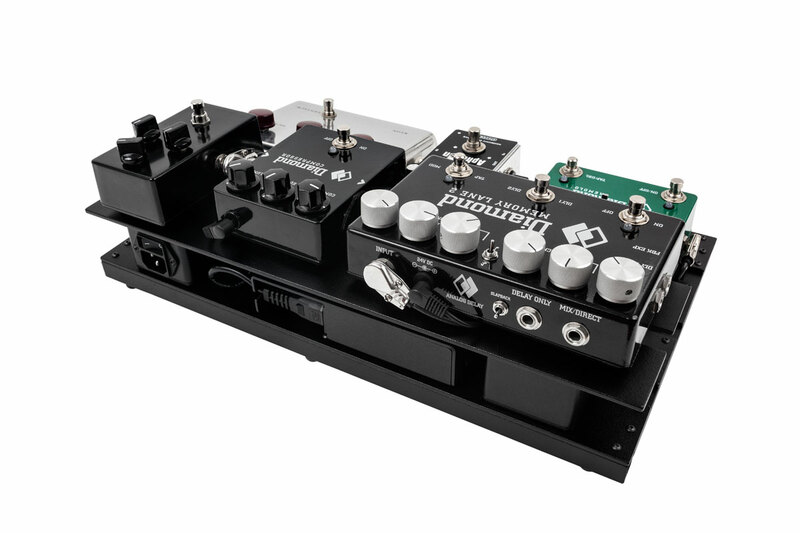 2-tier compact pedalboard for 6 pedals powered by 1 Cioks DC10. Germanium fuzz face — Diamond Pedals Compressor — Klon Centaur — Spaceman Effects Aphelion — Diamond Tremolo — Diamond Memory Lane 2. The aluminum board measures 50cm x 35cm x 10cm. 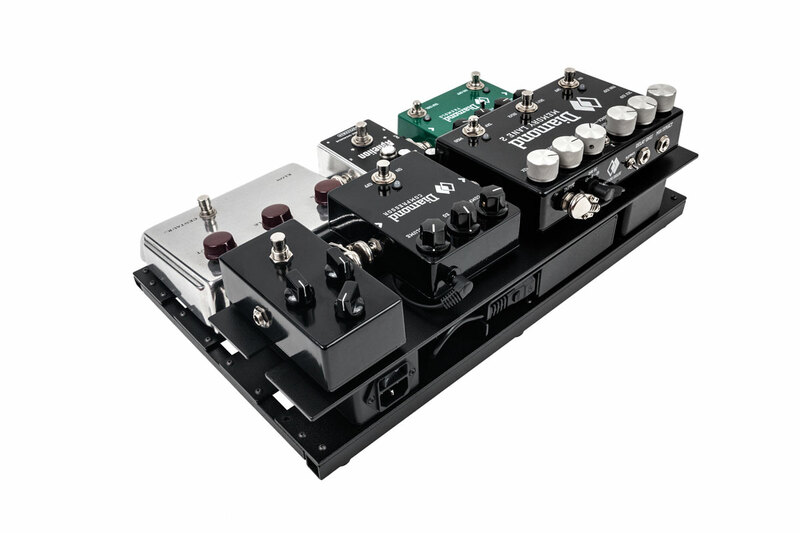 Tiered boards allow to easily access the back row pedals with zero risk of accidentally bumping the knobs of the front row pedals. This specific design also allows to save substantial space by ‘hiding’ the power supply under the back row.